Tough competition and a customer centric economy make a CRM solution not a choice but a necessity for business nowadays. The right customer relations management software will allow you to get to know your clients, analyze sales and eventually turn clients into loyal customers. As Steve Jobs said “Get closer than ever to your customers. So close that you tell them what they need well before they realize it themselves.” The right CRM solution will help you achieve this goal. 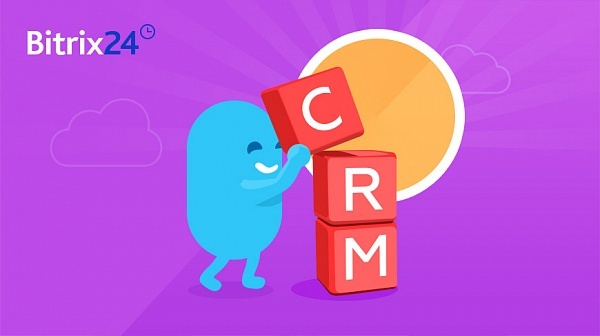 Let’s discuss 4 must-have CRM features in 2016. Sales automation grants you a full control over the communication between your salesperson and a client. The opportunity to listen and analyze the phone calls will help each of your sales managers understand their mistakes and eventually increase the efficiency of their selling techniques. Moreover, you can see a full range of activities your sales team performs, which will be helpful to monitor their productivity. When it comes to gathering statistics and analyzing results a sales funnel will be very useful. It is a visual representation of all sales process stages fr om initial contact to closing. Sales funnel will help you understand which problems sales reps encounter and when customer churn happens. Ease of collaboration is what sales team needs to effectively fulfill their professional duties. Be sure your employees have access to private and group chats, can share and edit documents together. Project Management and Tasks enhance the efficiency of any team and makes the working process more transparent. Integrated telephony allows you to make calls directly from the CRM and record conversations. As we discussed above it will give you an unprecedented understanding of both your clients and your sales team. Telephony is also a must have lead generation tool. A simple callback form will convert a random site visitor into a prospect. Moreover, modern telephony will definitely improve your customer experience. Intelligent call routing will help you save time and avoid unnecessary transfers. Finally, smart telephony systems recognize caller ID and provide you with the information about the caller. This feature adds the very personal approach all customers are looking for. Modern world provides dozens communication channels to reach your clients: social media, email, websites, call centers, etc. It gives you a great scope of possibilities, but at the same time you can hardly control and centralize the information about your clients. Modern CRM solutions offer an omni-channel communication tool. Your clients can write to you on Facebook, Twitter or send you an email. All these messages will be assorted according to your settings and sent to your employees in their CRM chat. When your team answers the messages inside CRM, the clients will get the answers in the channels wh ere they asked the question (facebook, skype, etc.). This tool improves your customer service, helps you evaluate the efficiency of sales channels and keep your data base full and centralized.